Product prices and availability are accurate as of 2019-04-22 06:54:53 UTC and are subject to change. Any price and availability information displayed on http://www.amazon.com/ at the time of purchase will apply to the purchase of this product. 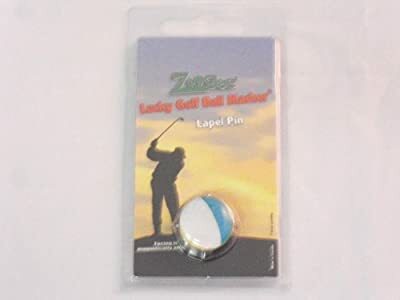 Zoogee Magnetic Lapel Pin & Domed Golf Ball Marker Ireland Flag. Ball Marker plus metal lapel pin with strong magnet. Domed 1 Inch Diameter with Metal Back. Also sold with magnetic button cover, hat clip or divot tool.